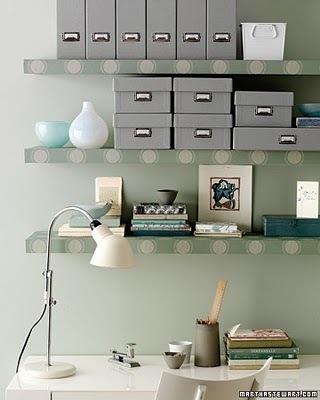 I am probably a floating wall shelf fanatic, and would no doubt have them in every room if I could. 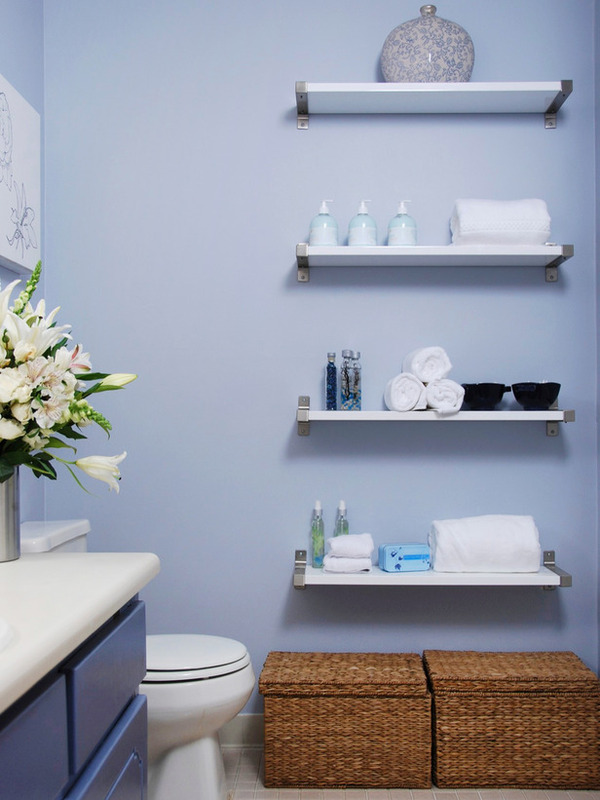 They are clean, simple, EASY to clean, and give a modern apartment space fresh look that is functional as well as decoratively beautiful. 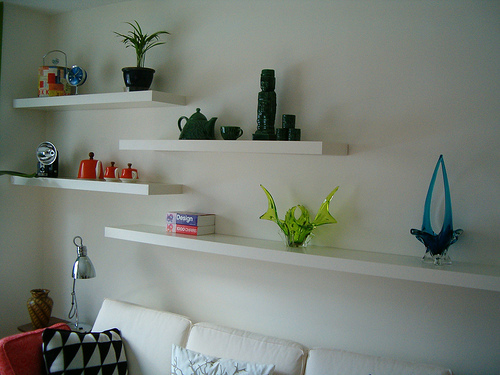 Floating shelves can be used in place of wall art where one can display collectables or unique pieces that are better to view at eye level instead of on tables. 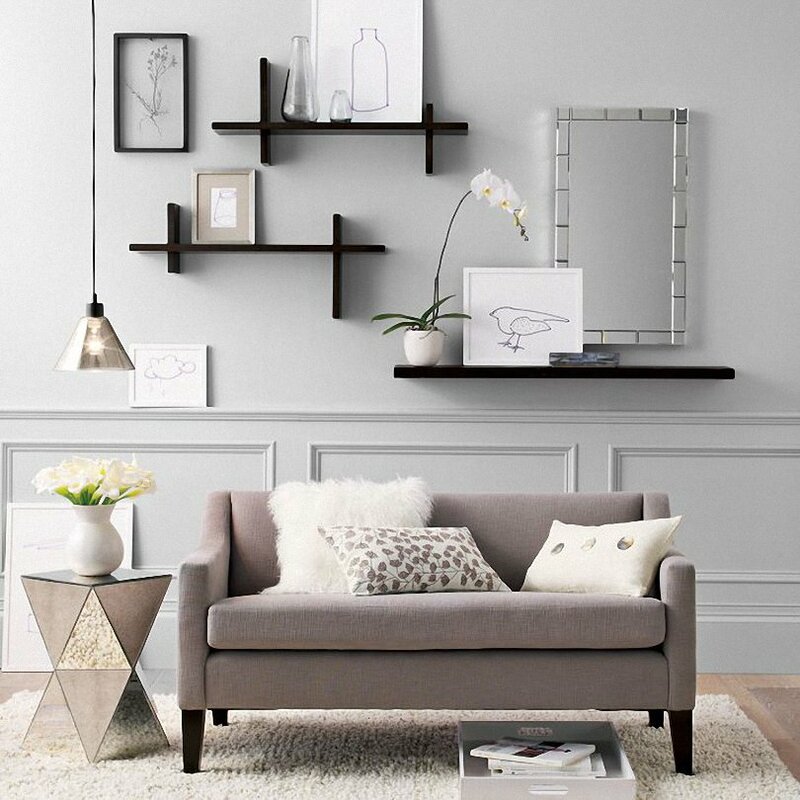 I have to say, my love for this design option did not come without some fear – a fear of collapsing shelves, smashed treasures, and torn walls! But a little research has put my mind to rest. 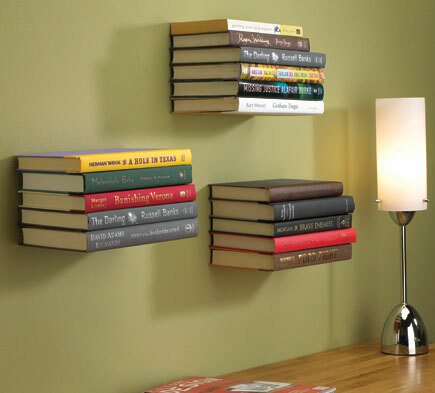 Manufacturers of floating shelves take into consideration that these babies hang without external support and are designed with sturdy internal screw mechanisms that, when installed correctly, make the shelves extremely strong for even heavier objects or a load of books. 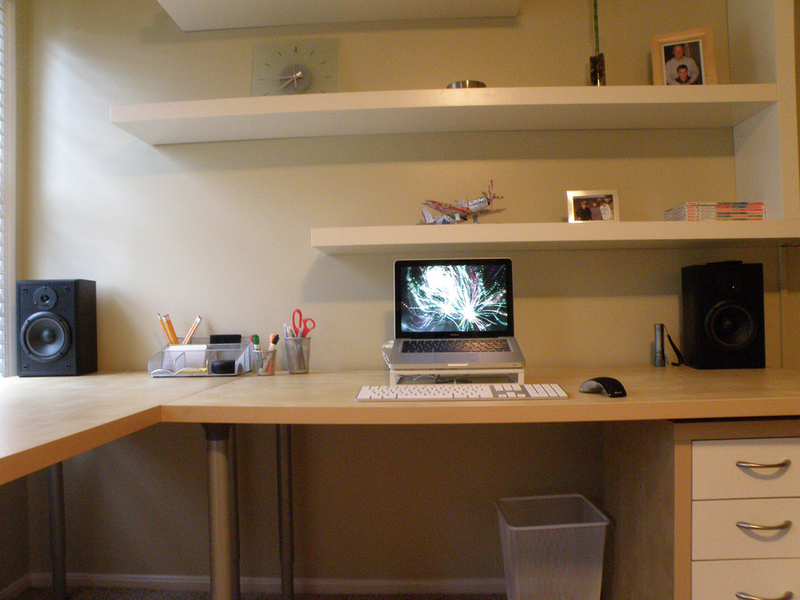 In the image above I love the great use of floating shelves in a corner office space for an apartment bedroom. 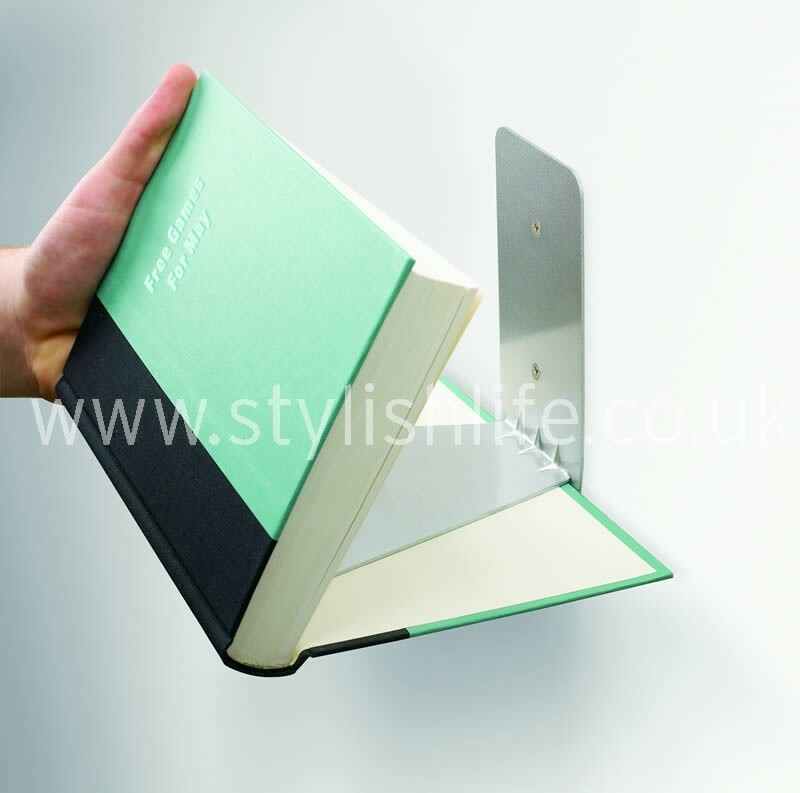 Clever floating shelf idea: the Concealed floating book shelf. 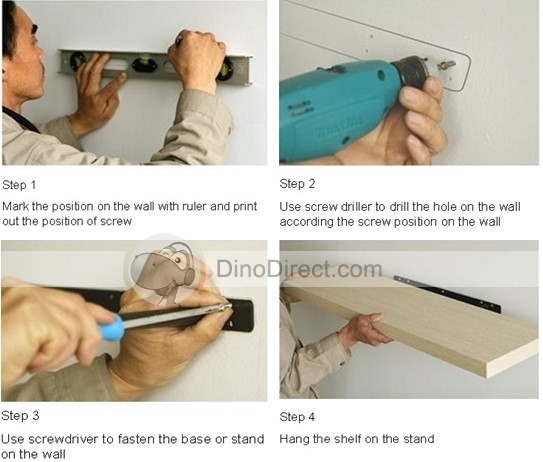 You actually use one of your own books as the base shelf with this nifty, easy to install bracket. The results are pretty cool. 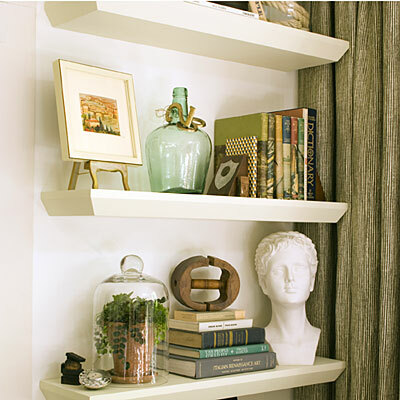 Here’s a few more floating shelf inspirations for your apartment or home. 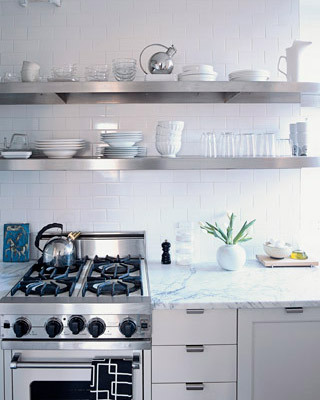 I love, love this room! 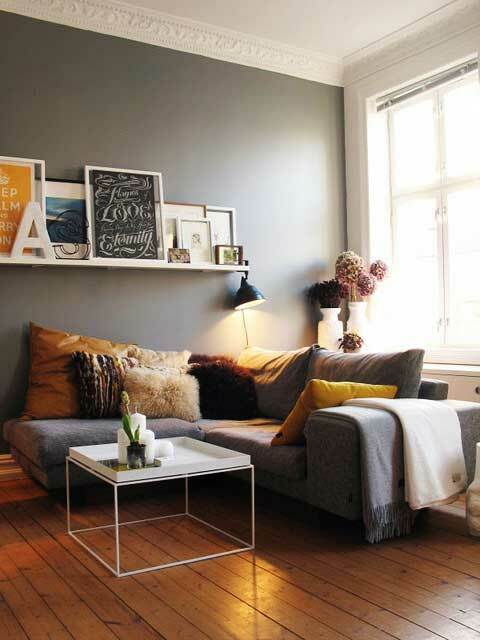 This entry was posted in Furniture and Design and tagged apartments, decor, decorating, design, floating book shelf, floating shelves, floating wall shelf, furniture, interiors, modern decor, modern home. Bookmark the permalink. 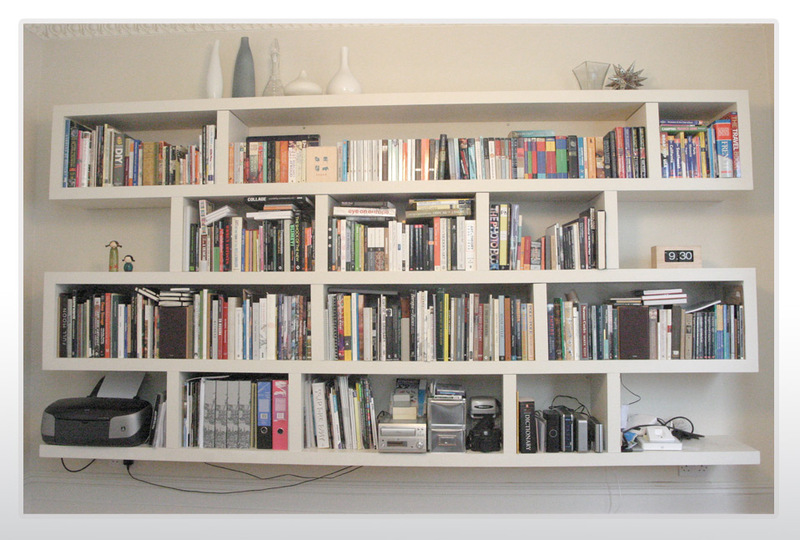 It would be so great if you told us where to buy the things pictured. I agree. 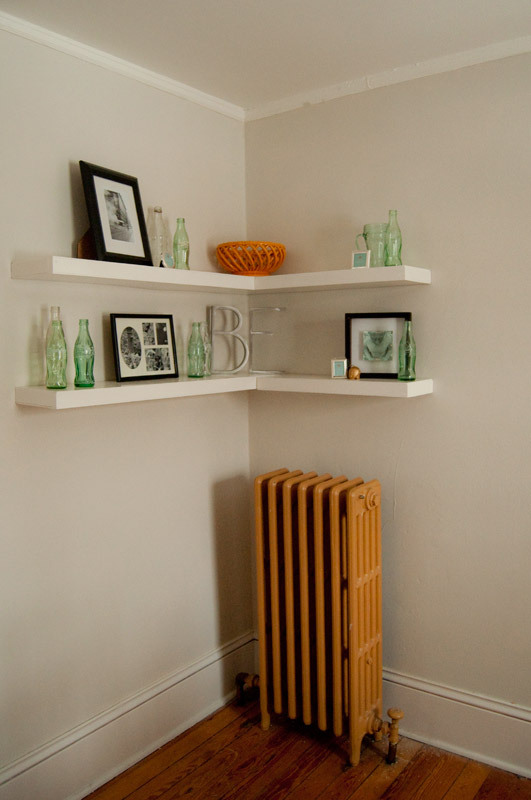 Would like to know where to purchase floating shelves in first photo.